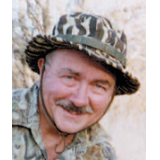 Mike Lamade experienced this collection of bowhunting adventures over a period of almost four decades. Mike will take you along as he stalks a huge bull moose in the Yukon and fights through a blizzard for a record book muley on the Colorado plains. Pope & Young whitetails will fall in Kansas, Illinois and Wyoming, and you'll wait with Mike in a ground blind in South Africa for elusive kudu, gemsbok, and wildebeest. In his 40 years of pursuing big game with his bow, Mike has hunted most of the United States and Canada and traveled to Africa eight times. Most of the stories in this collection have appeared in Bowhunter magazine. Join Mike on over 20 action-packed bowhunts for whitetail, mule deer, bear, moose, pronghorn, alligator and a wide range of African plains game. It will take your breath away.